It's good to hear she acknowledges her privilege, thanks for sharing. Seamus Murphy’s new film A Dog Called Money will receive its World Premiere at the Berlin Film Festival today at 5pm. I have worked with Seamus for over a decade. What initially compelled me to track him down as a collaborator was his unique ability to capture life and death, uninhibited, and without judgement. His work allows us as viewers to enter, contemplate, and extract meaning for ourselves, within the beauty, colour and framing that he captures. Once again this artist inspires and surprises me with his new film. I had no idea how he would bring together four distinct journeys through Afghanistan, Kosovo, Washington D.C., and the making of an album by a Dorset-born songwriter, and yet A Dog Called Money flows beautifully. This engaging film is poised, deeply moving, and carries with it an overriding sense of positivity. 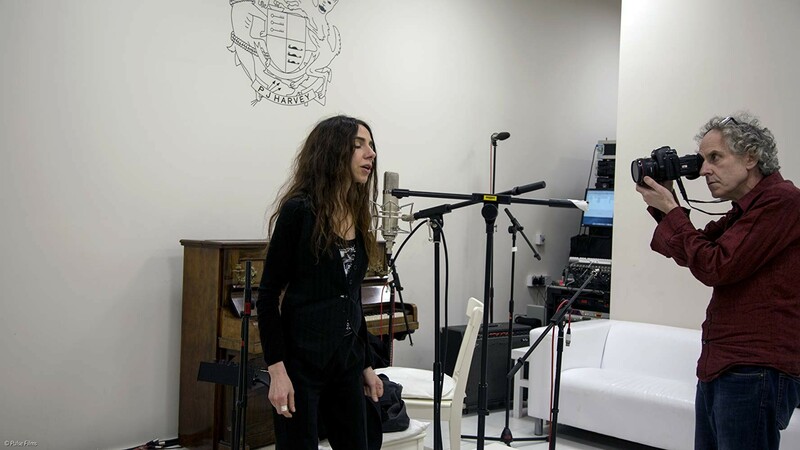 The photo used in the film’s poster was taken during the recording sessions for The Hope Six Demolition Project LP at Somerset House, in January 2015." "A Dog Called Money will be released later this year." Last edited by hopewell on Fri Feb 22, 2019 2:51 am, edited 2 times in total. I'm really excited to see this, particularly the making-of the album parts. The White Chalk making of documentary was a thrill, love getting to see songs getting put together. Apparently from that Q+A video, there's a lot more footage. Really really hope they might release more of the Somerset footage. Also, didn't Seamus or someone else film the 2015 show where she previewed material and did poetry readings? Would love to see that too, the trio performance of the hope 6 songs provides a really unique take on the material, and she sounded great. I would love to see a proper trailer for the movie down the road.